Saturday, Mar. 2, 2019, 6 – 10 p.m. 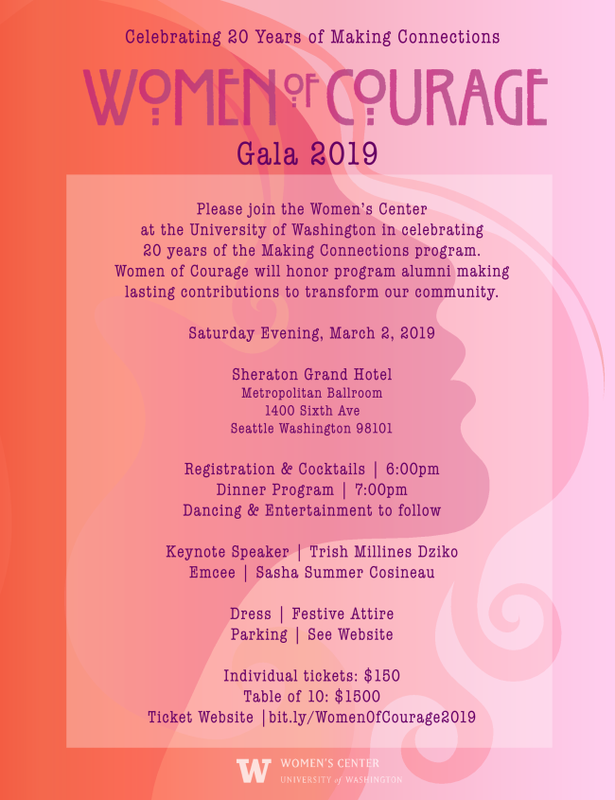 Please join the UW Women's Center in celebrating 20 years of the Making Connections progrom Women of Courage will honor program alumni making lasting contributions to transform our community.